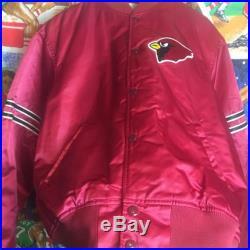 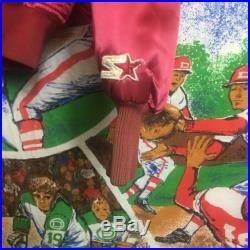 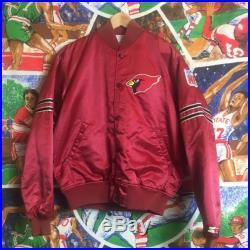 Rare vintage mens large maroon phoenix/ arizona cardinals satin starter bomber jacket. 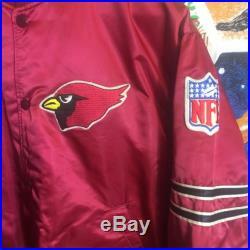 This jacket is preowned and has been kept in good condition. 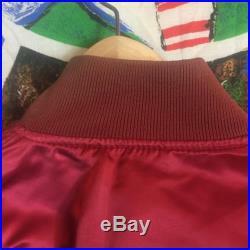 However there is some fading on the upper neck and wrist cuffs due to age. 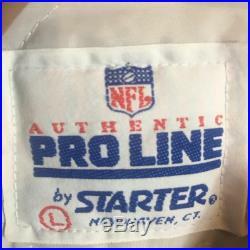 Still an amazing throwback from the late 80's. 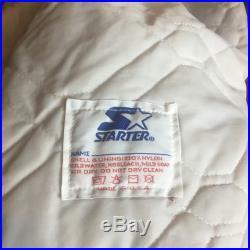 All logos and lettering are sewn on. 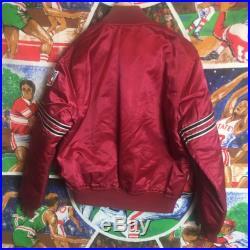 This jacket can be worn as a mens large for slim fit or mens medium for loose fit.